The Learjet 55B, also known as the Bombardier Learjet 55B, is a midsize twin-engine corporate jet aircraft, developed by Gates Learjet Corporation, today Bombardier Aerospace of Canada. Introduced in 1986, the Learjet 55B is a further development of the Learjet 55, with a digital flight deck, modified wings and wingspan, improved interior and gross takeoff weight. The Learjet 55B features a stand-up cabin with a fully-enclosed aft laboratory and external and internal baggage compartments. 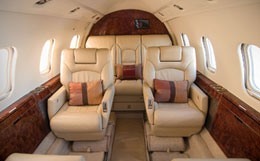 The Learjet 55B is capable of carrying up to 8 passengers in a club seating arrangement with a side-facing bench and an additional aft seat. 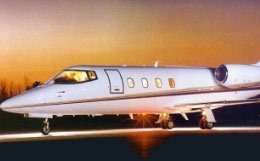 The Learjet 55B is larger, heavier, more commodious, and has a much longer range than earlier versions of the aircraft. 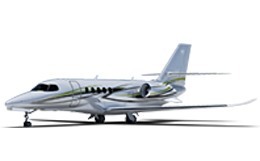 When compared to other midsize jets, the Learjet 55B stands out by its outstanding performance, flexibility and safety. 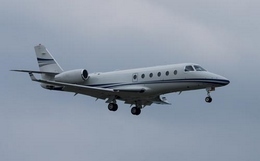 For more information about chartering, leasing or buying a Learjet 55B please contact us by calling +44-20-3874-8091 or send us an email here.